This morning, the California Public Utilities Commission voted to adopt a decision setting overarching guidelines for establishing time-of-use (TOU) rates. Under TOU, rates are higher at periods of peak demand and lower off-peak. Experience in California and elsewhere has shown that customers can understand simple TOU rate structures and can respond – by e.g. waiting to run the dishwasher until the off-peak period – in ways the benefit the grid. TOU rates also impact the economics of customers’ rooftop solar systems by dictating the value of the electricity a system sends to the grid in the middle of the day, and the cost of power customers buy from the grid in the evening. Utilities are proposing to move the highest-priced “peak” periods into the evening (4PM-9PM or 5PM-10PM) from today’s afternoon (e.g., noon-6PM) peak. Some utility proposals would create “spring” seasons with super off peak rates in the middle of the day to help manage spring hydro runoff and abundant solar production. Lower rates in the day would reduce the relative benefit of going solar. The PUC decision will result in higher TOU rates in the afternoon, when demand is highest and the opportunity to use solar is also high. The commission adopted many of the components of SEIA’s proposal for getting TOU rates right. 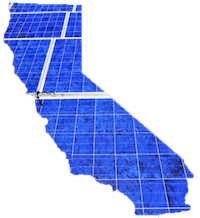 All new California solar customers will soon be on TOU rates as utilities transition to the second generation of net metering, which accounts for both the costs of solar’s use of the grid, and the value that rooftop solar delivers to the grid in our nation’s most robust solar state. The Golden State’s largest utility, Pacific Gas & Electric, made this transition late last year as it hit its 5 percent net metering cap. San Diego has moved to the new net metering tariff and will require customers to be on TOU rates sometime in mid-2017. Southern California Edison will transition to NEM 2.0 next year too, by July at the latest. Today’s Commission decision provides protection and predictability for existing solar customers. Existing commercial, industrial and agricultural customers will get 10 years of grandfathering on current TOU periods; this is critically important for the many customers who invested in solar systems based on time- of-use periods that have been around for decades. New customers will have at least five years between changes in TOU periods. The Commission decision also adopted SEIA’s proposal to establish TOU periods using all of the relevant costs of delivering electricity: generation, transmission and distribution. This is important for making sure customers get the right signals for the costs of the transmission and distribution system and not just generation costs. The inclusion of these costs will keep TOU peak periods earlier. For example, using this analysis, SEIA has shown that SDG&E’s TOU rates should be 2PM-7PM instead of 4PM-9PM as the utility has proposed. Today’s decision isn’t perfect and it’s just the beginning. Despite the protections created for existing customers, there will be confusion in the transition to new rates. By creating a deadline for filing interconnection applications shortly after the decision, and requiring that solar projects be completed by this summer, many projects currently under construction or in the sales process will have to rush to meet these deadlines and to be grandfathered in the current TOU period, creating uncertainty for customers and solar companies alike. Finally, today’s decision doesn’t establish either the time periods for TOU rates or the rates themselves. Rather, it establishes a TOU period methodology and overarching timelines. Establishing the rates themselves is a rate case by rate case effort and SEIA will be there every step of the way.